Some days your phone battery runs low too quickly, and those are usually the days you need it the most. 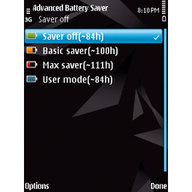 Use Advanced Battery Saver (ABS) to extend your battery life by up to 30%! 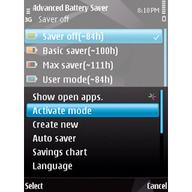 With this excellent saver, you can adjust your phone ’s power consumption (or let the auto saver do it) and postpone the need to charge it. Easily identify and cut down non-critical battery eaters such as Bluetooth, Internet connection, lights. 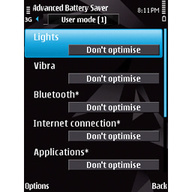 ABS will help you optimize your battery use and make sure you stay connected! i didnt try this app so far ? i just wonder about comments ??? is it safe app ?